Who do you blame when you have to shovel your sidewalk? 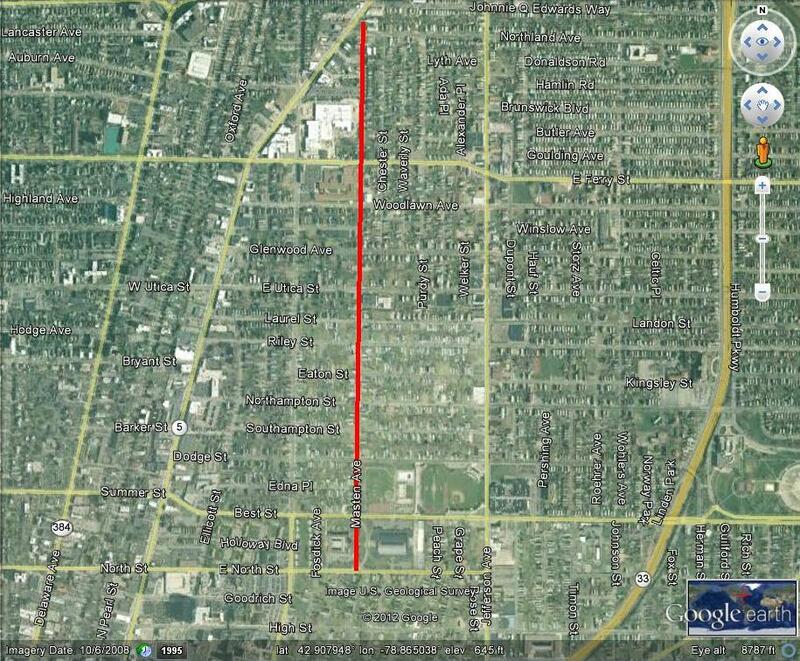 Masten Avenue runs north-south for about a mile on the East Side of Buffalo, between North and Ferry Streets. The Masten Park neighborhood, Masten Avenue, Masten Park and the former Masten Park High School (currently City Honors), all get their name from former City of Buffalo Mayor Joseph Masten. Joseph Griffiths Masten was born in 1809, in Red Hook, New York. He came to Buffalo in 1836 after studying law. He was elected Mayor in 1843. While he was Mayor, he issued the law which says that owners/occupants of buildings and owners of vacant lots need to keep their sidewalks and gutters free of snow and dirt. Blame him if you get a ticket for not shoveling your walk! Buffalo was an exciting place to be while Masten was Mayor. 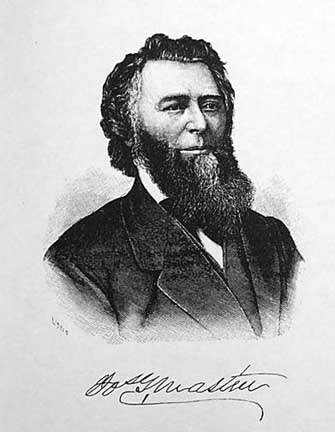 He was Mayor when Joseph Dart invented the grain elevator and expansion of the city resulted as the City began to become an important grain hub. He was also Mayor during the founding of the University of Buffalo. He and his wife, Christina, were the first owners of the Wilcox Mansion on Delaware Avenue. At the time it was an army barracks and the Mastens converted it into a residence; today the mansion serves as the Theodore Roosevelt Inaugural Site. After his time as Mayor, Masten served as a judge. It is said that he went on long walks around his neighborhood, always stopping to talk to neighbors and people he met along the way. He died in 1871 and is buried in Forest Lawn. His tombstone reads: “An upright judge, an eminent lawyer, a faithful public servant, an esteemed citizen, a true gentleman”.